German industrial metal pioneers Rammstein have just released a controversial video for their song Deutschland. The video was directed by Specter Berlin. Deutschland is the very first single from the upcoming eponymous 7th studio album – Rammstein. The album will be released on May 17th via Ume/Spinefarm in Europe and via Caroline Records in US.The band was criticized by Jewish diaspora in Germany due to the trivialization of Holocaust. Charlotte Knobloch, former president of the Central Council of Jews in Germany and Holocaust survivor stated for Bild: “With this video, the band has crossed a line. The instrumentalization and trivialization of the Holocaust, as shown in the images, is irresponsible." Felix Klein, commissioner of anti-semitism in Germany stated: "I consider this a tasteless exploitation of artistic freedom," added Felix Klein, commissioner of anti-semitism in Germany. Well, when I thought to do another RAMMSTEIN record, I was like, 'No, I'm going to do that. I'm not going through more suffering,'" he said. "That was four years ago. But what we did in the beginning is we said 'Let's get together and try to come up with three or four songs.' We didn't really put any pressure on us, which was very important at this time. While we were starting to rehearse and stuff and getting ideas, I thought, 'Wow, it's actually very good. Things have changed.' All of a sudden, there's a certain kind of respect that I always missed a little bit. We just had good chemistry, which reminded me of the first time when we started. Then I felt, like, 'What would interest me on a new RAMMSTEIN record?' I thought, 'Every time people talk RAMMSTEIN, it's about fire. It's all about the show.' Nobody talks about the music anymore for RAMMSTEIN, and it kind of bothered me. I was thinking, 'I want to do another record. It has to be musical in a way that can really stand out from other records.' That was my goal, or our goal." When asked how new album’s going to sound like, Richard said : It's so hard to say it, because I'm working four years on the record, I'm so close. I think when I listen to the record — we're still in the process, but it's almost 'RAMMSTEIN 3D' is how I describe it. We have written a lot of stuff, but we recorded, I think, 16 songs right now. We're probably going to mix 11 songs because we're running out of time right now. I think it's going to be out in April, which will be the release date. Then, we'll be on our first stadium tour, which is very exciting." 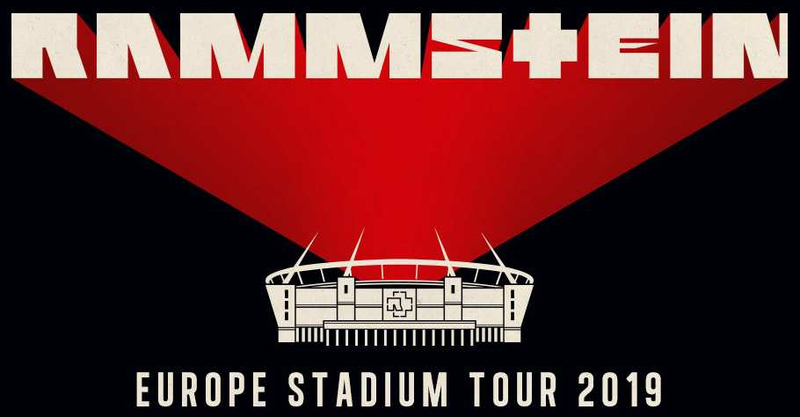 Rammstein have also announced European summer tour dates which will begin on May 27th in Gelsenkirchen and finish in Vienna on August 23rd.